(Reuters) - Egypt's President Mohamed Mursi has freed a group of Islamists jailed for militancy during Hosni Mubarak's era a step seen as a gesture to hardliners who supported his presidential bid. A lawyer for 17 Islamists, many of them held since the 1990s, say they owe their release to a pardon issued by Mursi. At least three of the released Islamists had been condemned to death, said the lawyer Ibrahim Ali. Those released in recent days include members of al-Gama'a al-Islamiya, jailed during the group's armed insurrection against the state in the 1990s, and Islamic Jihad, the movement behind the 1981 assassination of President Anwar Sadat. The pardon underlines efforts by Egypt's first Islamist president to satisfy the some of the hardliners he courted with election promises to implement Islamic law. 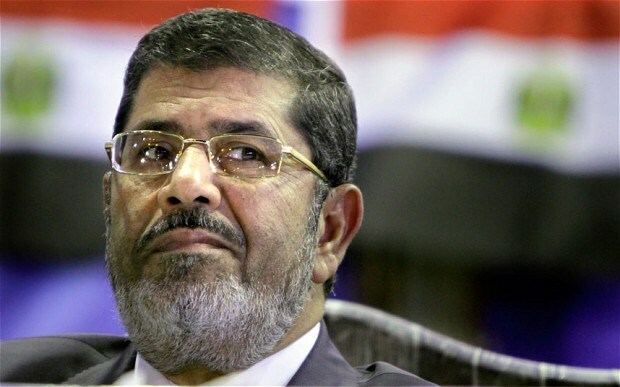 Mursi is facing calls from Islamists to secure the release of the remaining few dozen of their brethren who they believe are being kept behind bars by security forces resistant to the new president's wishes. But he is also facing criticism from activists who are questioning his priorities, believing he has not moved far or fast enough to secure proper justice for thousands of others jailed by military courts since Mubarak was deposed, although he launched an investigation that did result in some releases. "Mursi is paying off a political debt," said Nabil Abdel Fattah, a political analyst, referring to a move he said would anger Egyptians who recall the bloodshed of the 1980s and 1990s.